Just in case you thought I went full on Patchouli Boulder Hippy when I announced the MeditationVR game a few weeks ago; I have a *new game* launching today to show off. And it’s almost the opposite thematically from the first one! 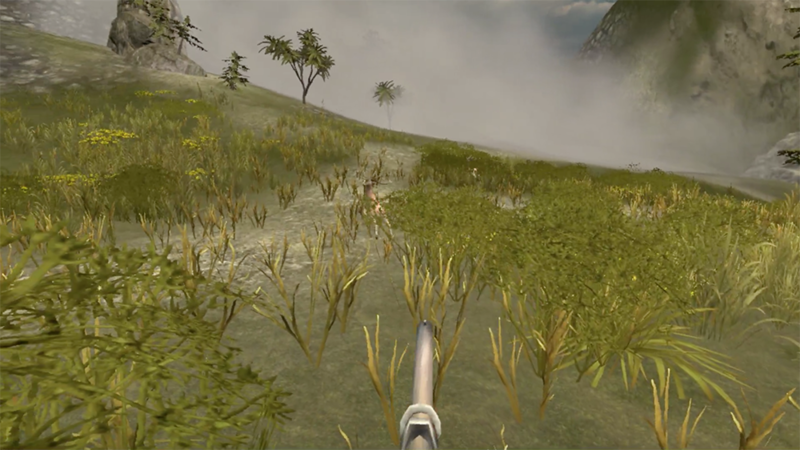 It’s called “Wild Game Hunter VR”, and it’s kind of like those Hunting games you can play in bars (but its in 360 degrees and you can teleport, so it’s better). There are 5 “days” of hunting, about a dozen animals to hunt per day. Best of all, you can teleport around to get the best shot possible. Fun use of VR.